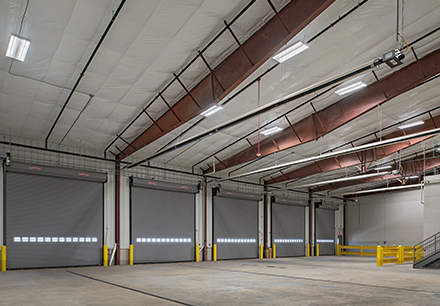 Following a fire that destroyed a facility in 2014, Sachse Construction was hired in early 2017 to manage the construction of a brand new, 40,600 square foot facility in Warren, MI. The new building contains a waste transfer facility with adjacent office space and a maintenance garage. Sachse worked with GFL Environmental USA Inc. to ensure a quick project turnaround since the client was in need of their new facility. 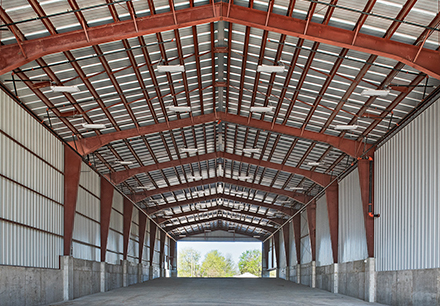 GFL Environmental USA Inc. remained on-site during construction and worked in a large tent until construction was completed. GFL Environmental USA Inc.’s work required large machinery and the frequent coming and going of dump trucks. Sachse Construction worked with GFL Environmental USA Inc. before beginning construction to understand the client’s daily operations and needs. This allowed Sachse Construction to minimize interference between the construction and waste management equipment and complete the project in timely manner. 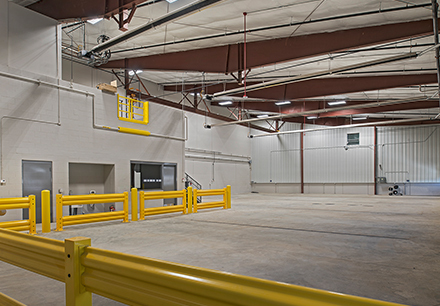 With an eight-month turnaround from design to completion, construction of the new GFL Environmental USA Inc. facility wrapped up in November 2017.